Kate Klein: Trade Finance Manager and Chaos Controller - Trans-Border Global Freight Systems, Inc.
“Chaos Control” reads one of the first department signs you come upon when entering Trans-Border’s headquarters – it belongs to the trade finance department. From letters of credit to contract reviews, our trade finance department enables our customers to get paid, on time and in compliance, for their international business. 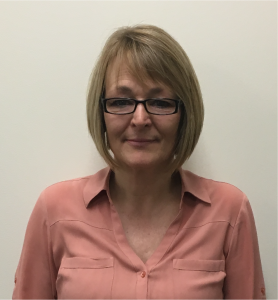 We would like to introduce you to the person who makes it all happen, our trade finance manager – Kate Klein. Kate began her career at Trans-Border 11 years ago in the very department she now manages. However, that has not been her only role here, serving for several years in our ocean exports department. Eventually, though, Kate returned to her bread-and-butter – trade finance – and hasn’t looked back since. It didn’t all start here for Kate. “I worked throughout retail management and the restaurant industry for so long,” she explains, raising twin sons as a single mother. Even so, “I decided to go back to school in 2004, when my kids were three and a half years old.” Through determination and excellent time management, Kate was able to graduate, ahead of schedule, with a bachelor’s in mathematics. As you can imagine, with twin boys, Kate is controlling chaos at work and home. Both her sons, whom are her joy and inspiration, are pursuing higher educations: one at Binghamton University and the other the University at Albany. “I desire them to be the best,” Kate shares, wishing to instill in them integrity, honesty, and a sound moral code. After all the chaos quiets, and Kate can finally take a breath, you can catch her either baking in the kitchen or puttering in her garden. “I’d probably open a place that sells cookies… or soup,” Kate hints when asked to share her dream job. Cookies or soup? How about cookies AND soup. We at Trans-Border appreciate Kate Klein and all of the hard work she contributes each day. If you have any questions about trade finance, letters of credit, or soup, don’t hesitate to reach out to Kate at kklein@tbgfs.com.